Last month, the Transportation Security Administration said it was moving nearly half its X-ray body scanners from some of the nation’s biggest airports to smaller ones. But it turns out that more than 90 of the controversial machines will sit in a Texas warehouse indefinitely, agency officials said Thursday. The agency says it hopes to someday deploy the warehoused machines, but even that prospect was thrown into doubt by allegations that the manufacturer, Rapiscan Systems, may have falsified tests of its experimental privacy software designed to eliminate explicit images of passengers’ bodies. The machines in the warehouse cost about $14 million total, or roughly $150,000 each. 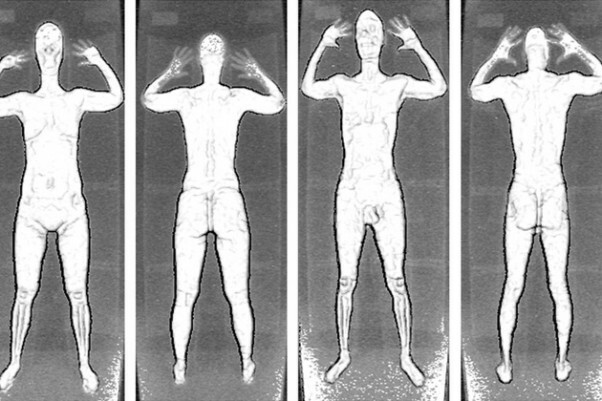 The TSA began rolling out body scanners after the failed underwear bombing on Christmas Day 2009, one that uses X-rays and one that uses millimeter waves similar to those used for cell phones. The X-ray scanner has faced an outcry over passenger privacy and the risk that radiation could cause cancer. ProPublica reported last month that the TSA was removing the X-ray body scanners from major airports — including Los Angeles, Chicago O’Hare and John F. Kennedy in New York — and replacing them with millimeter-wave machines. The millimeter-wave machines made by L-3 Communications do not emit X-rays, which have been linked to cancer, and already feature privacy software that produces a generic cartoon image of passengers’ bodies. Here is a side-by-side comparison of the two types of body scanners. Rapiscan has been testing its privacy software with the TSA for detection capability and false alarms for about two years. But for now, its backscatter machines still produce filtered images of passengers’ naked bodies. To protect passenger privacy, the TSA requires screeners to review the images in a separate room. That slows down lines, which was the reason the agency wanted to move them to smaller airports serving fewer passengers. 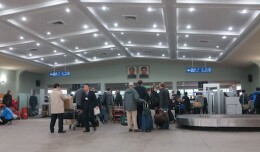 But there was one problem: Many smaller airports lack the space to accommodate a separate image-viewing room near security checkpoints. The TSA had hoped Rapiscan’s privacy software would pass its tests in time to redeploy the backscatters this fall and winter, John Sanders, TSA’s assistant administrator for security capabilities, testified at a House transportation security subcommittee hearing on Thursday. “We had every belief that the contractor would be able to make the commitments, and we would have it in the field,” he said. But those plans have been thrown awry. “According to the TSA, this is because the testing of backscatter privacy software suddenly failed,” Rep. Mike Rogers of Alabama, the Republican chairman of the subcommittee said at the hearing, which was broadcast online. On Tuesday, Rogers sent a letter to TSA administrator John Pistole, stating that the manufacturer “may have attempted to defraud the government by knowingly manipulating an operational test … to have a successful outcome.” The allegations were first reported by Bloomberg News. “At no time did Rapiscan Systems falsify test data or engage in any fraudulent conduct,” the company said in a statement. Rapiscan said that it discovered the issue with its software while it was in development and brought the matter to the TSA’s attention. The company said it received a “show-cause letter” from the TSA within the last few days. Such letters are typically sent when the government is considering terminating a contract because a vendor has not delivered on its requirements, said Daniel Gordon, former head of procurement policy for the Obama administration and now an associate dean at George Washington University Law School. 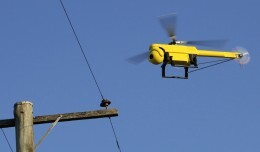 They are not necessarily an indication that a contractor did anything criminal, Gordon said. Sanders reiterated that the decision to shift X-ray body scanners to smaller airports was made for efficiency. The replacement of backscatters with millimeter-wave machines means the TSA can scan an additional 180,000 passengers a day for explosives or other weapons hidden beneath clothes. In addition, if a passenger either triggered the machine or opted out of the scanner for health or privacy concerns, a TSA officer would have to conduct a pat-down, which takes an average of 80 seconds. Screening with the millimeter-wave machine takes an average of 12 seconds. By removing the X-ray scanners from the largest airports, the TSA is exposing far fewer passengers to radiation. While the dose from the backscatter is extremely small, radiation experts have concluded that there is no known dose at which the cancer risk is zero. Some of the backscatters that were removed from major airports have been installed at airports in Mesa, Ariz., and Key West, Fla. 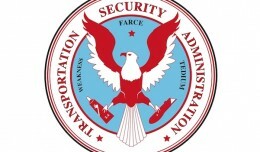 But 91 will be stored in a warehouse until the issue with Rapiscan’s privacy software is resolved, the TSA said. The agency faces a congressional deadline to install the privacy software, known as automated target recognition (ATR), on all of its body scanners by June 1. The TSA currently has about 150 backscatter machines without the software at airports, such as Seattle-Tacoma, Phoenix Sky Harbor and Washington Dulles. Rapiscan demonstrated its privacy software for ProPublica and PBS NewsHour last year at its headquarters in Torrance, Calif. The body scanner had a similar screen displaying a generic image of the passenger’s body, though Rapiscan’s version looked more like children’s book illustrations of a boy and girl than the genderless Gumby figures currently on the L-3 machines. In the few scans that were demonstrated to ProPublica, the software accurately detected a block of dummy plastic explosives hidden in the back waistband of a Rapiscan employee. But in two scans, it triggered a false alarm that something was on the employee’s upper arm when nothing was there. Even if Rapiscan doesn’t succeed, the TSA could order X-ray body scanners from another manufacturer. American Science & Engineering, which also makes them, was one of three companies selected this fall as finalists for contracts worth up to $245 million for the next generation of body scanners. This article was originally published on ProPublica.org and is shared here under the Creative Commons BY-NC-ND 3.0 license. 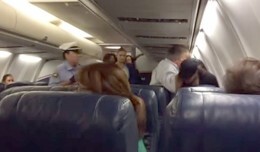 A woman was forcefully removed from a US Airways flight bound for Portugal, after she thought she was headed to Brazil, and removed to get off the aircraft. 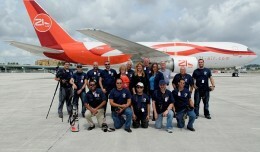 Miami International Airport has a large and active planespotting community and has become the latest airport to employ spotters as an added layer of security.